Today's updated news links are in the blog that follows! Today's blog comes live from the OLRB hearing on University Avenue just south of Queen's Park across from the ETFO offices. I am writing on the fly, arriving late from a doctor's appointment downtown. ETFO's Lisa Mastrobuono is twittering away live all ready. Her hashtag is #ETFO . There are at least 5 other folks I don't recognize twittering too. One can get a great sense of immediacy from being able to follow the case developments that way as it happens. A new day commences at the ETFO WTR OLRB hearing! ETFOs Howard Goldbatt [HG] is making his opening remarks. He is taking into account complainant's lawyer Michael Hines (MH) argument last day about legislative history & how it should affect Chair Bernard Fishbein's [BF] final verdict. HG is claiming MH's history lacks context to make sense of the many cases he has been quoting from across Canada and over last century or so. Who? How? What? Where do the cases apply? Lawyers! Lawyers! Lawyers! Great gestures + very interesting to watch. Wish I could take photos here. MH does not look like his picture that's posted online. It was taken a long time ago. Thin, bespectacled, nice suit, always taking notes and underlining things in his huge stacks of papers. By far he has more papers than everyone else combined. HG is disputing the relevance of MH's reference to a case in 1613 involving a "saint", I believe. He quips that it might prove "the sun also rises" as far as this hearing is concerned. Also he questions a reference to the Railway Act. Hmm. Okay, so we are even getting around to talking about choo choo trains again too! HG notes modern court practice is to only consider case law within the context of when it was made. Furthermore he wants to point out that MH has been referring to cases that contradict each other and so on and so forth. MH is furiously taking notes. Oh no! Hand on chin he scratches his ear, then picks up his red pen. He also has a yellow marker. What's he going to do? Hmmm. Now HG calls into question his reference to the Bankruptcy Act in regards to the school boards' current EC [extracurricular] complaint. HG: "So... So.... So..." ETFO's legal team laughs. Lawyer Steve Barrett [SB] says he can continue from here. HG declines. He seems to be enjoying this. Meanwhile BF seems rather docile again today. He searches through his papers with a yellow highlighter. Says he's heard about the context argument enough now. Wants to know if there were any later revisions to the case verdicts being examined. HG begins to review a few of the cases. 1903: When a penny was still worth a penny + verdicts came in flurries! 1613? Sometimes confused with 1903 but not quite the same. The school boards' legal team is sharing what looks like a glad bag of candy or mints. Chair BF has come prepared with two bottles of water. Cripes! I begin to fear we may be here a long long time! MH flashes me a glance. Don't know if he knows me. Others folk did when I arrived, I think because of my hat, which I have since removed in the hearing room. MH's patent drug case is now being examined, then a Bell Canada case. HG claims that successive "circles of context" are the confusing factor in MH's submissions. HG refers to a case with a fellow caught breaking the 100 km speed limit on highway 400. Don't we all! Ha. Er .. er.. er .. not me though! There's that nice open rolling stretch through the Holland Marshes where I'd bet you could hit 160 clicks no problem, even in a Toyota Corolla, or a Honda Civic Sedan .That's if one was a law breaker, I should think. Harumph! Anyway ... The driver pleads not guilty. The officer has clocked him at going 140 kms. He says he was only going 130 ... Ha ha! Is this a joke? Nope! Here, the immediate context within the broader context better provides the complete context .... nice one! HG hands it over to Syd. Oops! I mean Steve Barrett [SB]. BF asks him to hold on until he can catch up with his underlining. SB is discussing MH's reference to the Pension Sufficiency Act. Aaah yes! Good choice! He examines the statutory revisions. Great idea .... 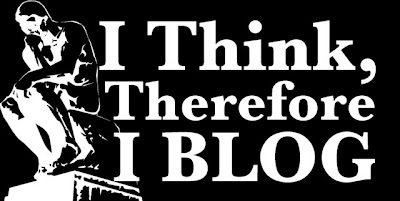 I think ... 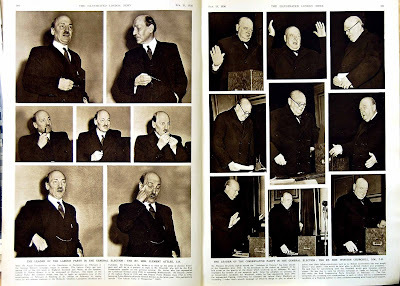 He refers to MH's colourful interpretations of legislative history. If we take MH's arguments about the judges in all of his cases, then they would have to be a "morons" to reach the same interpretations. Across the floor MH looks up. He crocks his brow. I see 6 people in the huge near empty visitors seating area furiously twittering away. Then there is me with my Ipad. I'm having a helluva time with the editor on my blog. The Ipad is very handy and compact with a long battery life though. I've easily gotten 6 hours on it no sweat. There is a big water tank up front near the ETFO legal team. It has a huge, noisy pump that requires quite a hard workout just to fill up a small, paper cup. One lady tried it. She was embarrassed. Blushed. It looks and sounds like one is out on a farm getting ready to water the cows or what have you. Others are staring at the water now but no one wants to get up for a drink, me neither, though I'm parched dry. Everything about today is absurd and bizarre. BF again asks everyone to slow down. He's now holding onto the highlight marker with his teeth while he scribbles away on the documents with a pen. Damn! Don't you hate when that happens?! BF stops. He asks both MH and HG if they are going to take much longer, so we can have a break. Yes! Yes! Yes! No. HG says he still needs a half hour to wrap up his case. MH wants to rebuke HG's rebuttal. BF notes he's trying to be accommodating but the hearing has gone on 7 days now. He notes the schedule of past cases he's been presented with have everything he would need to know about the definition and history of EC. Also the definition of a strike. The rest of MH's argument is irrelevant. BF assures both legal teams that all their case reviews are not necessary. He will look them over. He has heard far too much of this. He can read them himself. HG says he wants to cut his remaining time down to as short as possible. MH is still insisting he needs more time to respond. BF quips about adding days 9 +10 to these hearings. Good Lord! I hope he's joking! Alas. No break for now! HG wants to focus on the cases specific to the ECs. He points out the pages and clauses showing EC's are not mandatory teacher duties. Teachers can withdraw from volunteer activities whether they are in strike position or not. There is nothing to prohibit teachers individually or collectively from doing so. BF notes that EC's are not included in the definition of a strike as the Education Act is now written. MH smiles broadly. He is chewing on the end of his classes. The woman lawyer beside him sits hard faced chewing on a candy. Boy I'd hate to have to be her endlessly sitting here with my team pretending this is still so interesting and important on day 8 of the hearings. MH makes a grand gesture of looking at his watch. HG objects. BF looks up and exclaims, "Gentlemen! Gentlemen! Please!" MH stares at HG over the top of his spectacles with eyebrow raised, a slight grin on his face. Looks back at his extensive pile of documents and notes. He sits very erect. Everyone else is hunched over or leaning back looking real tired but determined to carry on. Oh no! The lady lawyer [Name?] has to go through the banker boxes to get some more files for him. Lord Denning shown laughing it up! The discussion turns to Lord Denning's seemingly infamous labour relations case. Apparently a precedent was set that withholding voluntary activities is not a strike. MH shakes his head with a quiet laugh at the frequent references to Lord Deming. 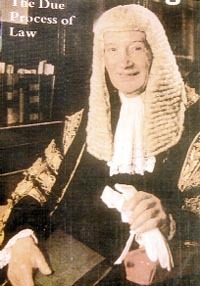 Perhaps Lord Denning was quite the card. I don't know. HG argues ETFO has been clear that it is only involved in WTR [Work to Rule] and not a strike. With WTR the members get paid, unlike in a strike. There is no intent to use WTR as a strike action. The discussion returns to the definition of a strike. HG insists WTR is not a part of the current definition of a strike in the Education Act. EC's are a part of a school board's program + not a teachers duty. BF still seems bogged down in his stack of documents. One case binder he's been handed must be at least 500 pages. He seems to be finding it hard to flip through. He tells the legal teams he wants to clarify the sections he is highlighting. MH and his team mate are whispering about something. BF offers to go later than 6:30 tonight. MH states he has 18 cases to review. His files are spilling over onto her side of the table. BF calls a break. 4:00: Break time! This is hilarious. Some members from both of the legal teams read my blog! Mr. Barrett came over and introduced himself as Syd! That's interesting. Syd Barret apparently died a few years back! After he left Pink Floyd he recorded a few offbeat solo albums and then disappeared. It is claimed he'd show up at each Floyd recording session but he was too out of it and incoherent to play. So, maybe it was all a rue? Incognito Syd fled fame to become a lawyer in Toronto? Makes sense! Let's face it, everywhere he'd go by now, even if it was just for a coffee and a donut, people would always stop to say; "Hey I know you! You were in Pink Floyd!" They would probably want him to sing or whistle a tune from "Pipers at the Gates of Dawn" while they played air guitar. I think so. Passer by's would notice and start gathering while he'd probably just rather read his newspaper + be left alone, especially after going through this a couple of million times. 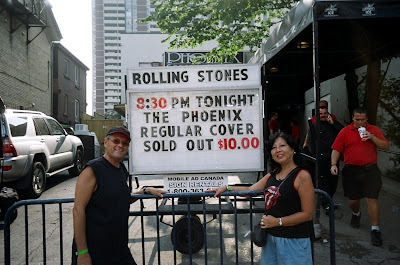 I met the Rolling Stones when were rehearsing in Toronto a few years ago. I heard they were using a school gym for the summer, so I dropped by one night to see if I could meet them leaving. 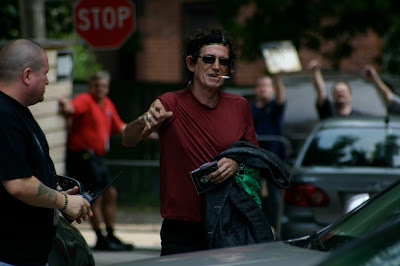 Ronnie Wood was quite polite. As polite as anybody can be while being carried out and propped up against a car while somebody tries to open the door and pour him into the backseat. This other guy saw him too. He just happened to have a copy of "Get Yer Ya Ya's Out" that he wanted him to sign. Wood was arguing that he didn't play guitar on that album so he wasn't going to autograph it, but the guy was getting real adamant. Then another rowdie had a guitar he wanted Mick to sign, but he said, "No way, I see you all the time. You just want me to sign that so you can sell it on EBay." Club Gig: See our free advance wrist bands? Was definitely tres kool! By now the opportunity for pleasantries was pretty much over. As a large crowd gathered around [ie "Hey look! it's the Rolling Stones!"] the same two guys were getting more persistent and wouldn't go away without their autographs. Keith Richards was just stumbling around smoking a marijuana cigarette and laughing. When he dropped it the crowd jumped and started fighting over it. Anyway, I thought, well here's my chance, what do I say?. 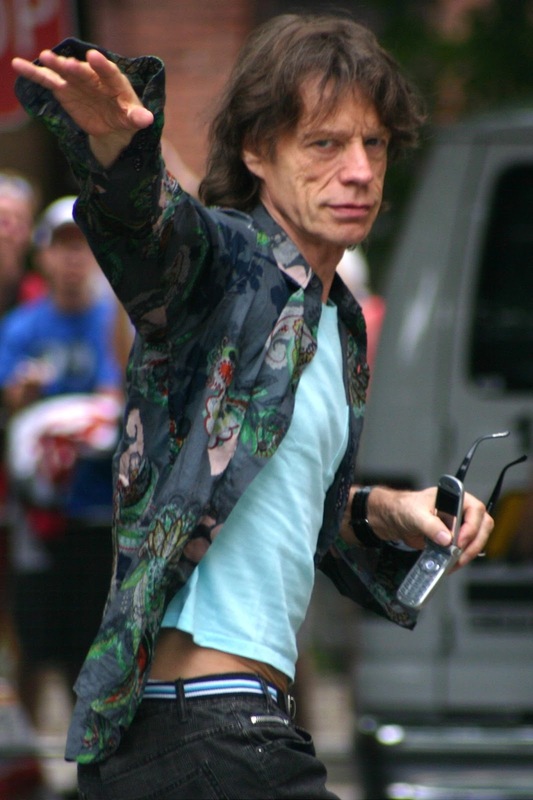 So I said to Mick, "Thanks for all the great songs over the years!" He stopped for a moment or two, looked at me and said "Thank you." Keef: "Did I drop anything?!?" Very nice fellow. 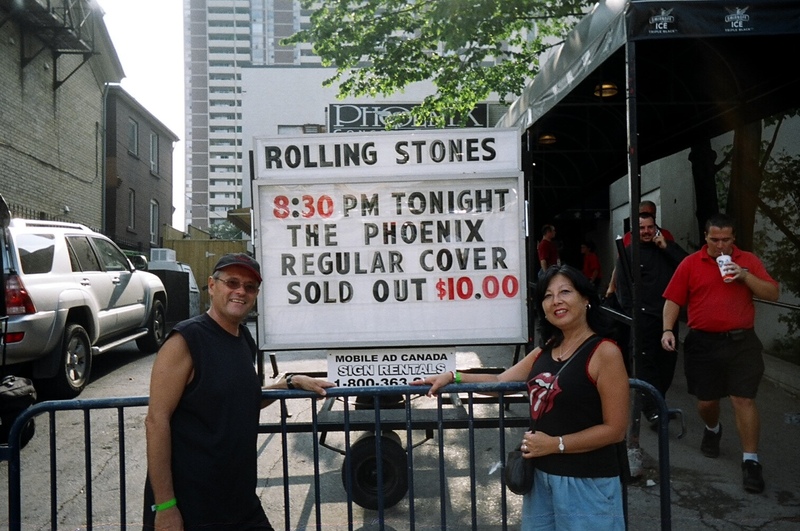 He even sent his manager over to give me a free ticket + wrist bracelet for the Rolling Stones club gig at the Phoenix afterwards. There's a lot more to the story, but I ramble. My point is, would Syd want to put up with all that everyday? Would you? Well, maybe not. Anyway I don't know if the chair has read my blog. Maybe? He comes and goes from the hearing room very quickly at break. I saw him in the elevator but didn't want to chase after him. There are a few strictly procedural questions I'd like to ask. For example, is it a duty of the chair to hear everybody out at such length or is that up to his discretion? Once during the hearings he said in passing that a court of law would be able to deal with the case quite differently than he can as Chairman of the Labour Board. How so? Questions! Questions! Questions! We may never know the answers to here on my blog! Past OECTA President Meryl Rettig dropped into the hearing at break. She is Deputy General Secretary of ETFO Provincial now. Looked good. Happy. We first met at the Pauper's Pub during the 1997 province wide strike. I'm really impressed she remembered me by name. Interesting: so if anybody from OECTA still wants to argue that it's all right we screwed around ETFO by breaking ranks and signing the MOU, because ETFO [actually FWTAO at the time] betrayed us by backing down in 1997, what sense does that make now? Rubbish. I get tired of hearing it. Seriously. It was mentioned on a Q+A on the OECTA Provincial website but I noticed it's gone now. Doesn't matter -damage done. 4:30: The hearing resumes. HG wraps up his case by stating there isn't any proof ETFO directed its members to continue WTR under coercion after the contract was forced upon them by Bill 115. The verdict should be to dismiss the complaint. The lawyers keep referring to each other as "my friend" perhaps a hearing courtesy or just a bit of etiquette. Still the more I look at them the more I think about how this is their job. Each represents their respective sides perhaps like hockey players on different teams. They do it this way or that too win. I still don't quite get the "secret button" reference. Nope. Now that was really strange. Hell this whole case is! 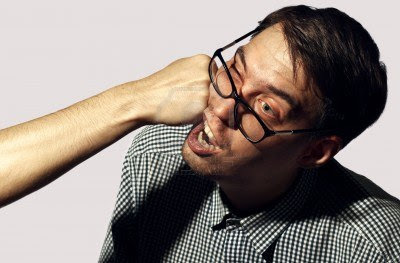 Fight! Fight! Fight! Are HG + MH going to have a fight?!? HG and MH are putting up a pretty good show right now. MH still wants to summarize his case. HG insists he answer the questions he raised today. If you will recall, that is what MH was insisting HG do the other day.They are quite animate. BF claims he's going to leave till they sort this out. They can take as much time as they need. MH reviews his case law now and is putting them into some sort of context. He sounds much more coherent. FB seems to be following him but for the life of me its all becoming mush in my brain. The neon lights are beating down with a constant hum, however slight. The snot green walls are not appealing either as they seemingly threaten to collapse in on us from all sides. The chairs? So so. It's hard to slouch when I get tired. Can't exactly get up and walk around either, though I am not so motivated today. Quite frankly, I just want the hearing to end. 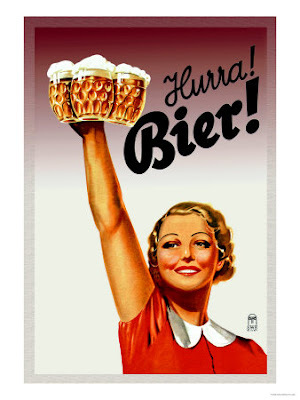 Hurray Beer! Some deep thoughts! OK! Here's a good question. 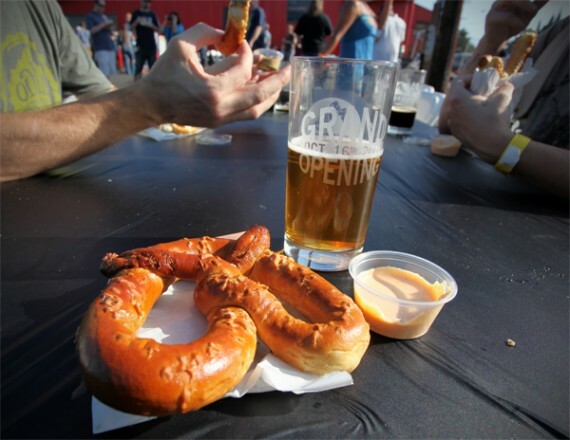 Who would be great to go out with for pretzels + beer? A real acid test here! It's also about the only level I can think at right now. FB? Probably pretty interesting to talk with about how the OLRB works. Dunno what he does for fun or if he's always this docile. I've seen him get all worked up in the past. Ouch! HG: Amusing in a lawyery sort of way. I'm pretty sure he was just pulling MH's strings there a few times and quite enjoying it. Could be a good laugh. Actually, I just have the pretzels. But the company must be good! Barrett? Yeah! He knows his stuff and besides, he could be Syd! Would just need to remember not to play air guitar when he is around or ask him to whistle or sing any Pink Floyd songs, especially from albums that he wasn't on..
MH? Now here's the rub: he could be a ton of laughs or just plain tedious. I really can't decide. The story of the "secret button" continues to allude. Would he clear that up or get all huffy? Hmmm. The lady lawyer: Dunno. Haven't gotten a handle on her yet. 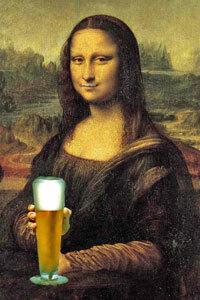 Recently discovered: Little known DaVinci later masterpiece: "Mona Lisa with Beer!" The hearing continues. MH notes HG can call him a "moron" but at least he understands the legislation particularly the Education Act. HG does not. HG leans back in his chair, hands folded behind his head. Chats with his legal team who are all looking at each other. Aha! He jumps back into the fray! A "who said what" argument ensues. MH continues. ETFO has defied the Education Act and are illegally walking out on their students insisting it's their Charter Right. BF wonders aloud if ETFO has "shot their load" (?!). He says he is putting the Charter challenge aside for now to hear the other arguments. If the Charter stops him from doing this or that he can find out later himself. BF definitely seems tired out! Will he put his foot down and end the hearing, or will it go on all night? MH wants to make a two page written submission for him to consider. HG wants to be able to provide a rebuttal in writing. Looks like it's agreed there will be a 2 page limit. FB says MH's paper is due tomorrow. Sort of like homework I guess. Also a nice way to nip this thing. BF is making no undertaking as to how long he will take to reach his verdict.It may not be a long written response. He notes somebody has been paying both legal teams a lot of good money for this. It doesn't sound too complimentary. The hearing is over!!!!! Everybody walks about talking as I finish up my notes. Another lawyer passes by, says hello and that he's a big fan of my blog. Isn't that nice! I am surprised. Humbled too. As I get my coat I see MH standing by the door. Here it is! My big chance to ask him what the "secret button" is all about! I introduce myself, he doesn't recognize my name. Fine. I tell him I'm dumbfounded. I've looked at all my pants and can't find any "secret buttons". At first he doesn't seem to know what I am talking about, so I remind him about his reference from last Friday. He looks bewildered. Mumbles something about the buttons on the sides of a pair of pants. I ask if the "secret button" then is the same as the "small button" he's mentioned that holds up a pair of suspenders? He starts to say something about them pulling in the sides. I enquire, politely, if that is the "secret button" then? He turns to walk away with his colleagues, asking them "What was that all....." as he turns the corner out into the hall. All I can hear is the lady lawyer and his legal team laughing out loud. Hmmm ;-). They all look at me as I leave. I nod goodbye. 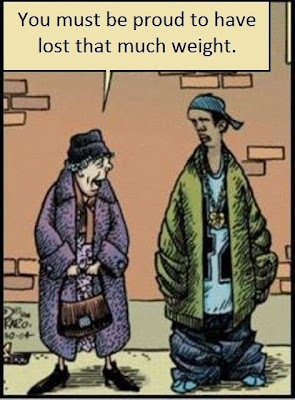 Maybe most men's pants today are not designed the same way as lawyer's pants? And so that dear reader,is all I know about the mystery of the secret button + the 8 day ETFO WTR OLRB hearing. Maybe lawyers wear different kinds of pants than the rest of us do? Dunno. Hope my report is of some help for you to figure it all out. I don't think I can. 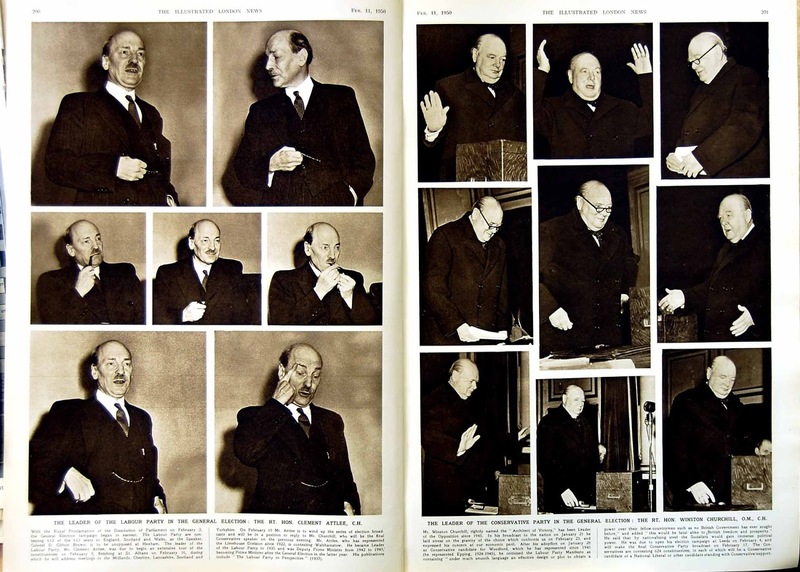 I know the hearings might sound awfully tedious but they are quite fascinating in a rather bizarre sort of way. Perhaps even quite addictive. Afterwards I went for a roti and champagne cola at the West Indian shop at Bathurst and Bloor and stopped into Sonic Boom to check out their record section. Both very good. Then I head home for the night. haha, is that you Kevin? Im done school now so I can post. Plus Im ETFO, thank god and I wont have to be silent! Gerry Kaplans article was a bunch of manipulative, vile, biased, nastiness and he should be ashamed of himself. We arent backing down and no matter how this hearing goes many teachers are standing firm, Those of us who have guts!The above posts are not helpful, just more snideness and manipulation. Wont work, simple! BTW Re: Anon general inquiry: Yes I am a local union executive member, but as it states in the masthead, this is not an official union blog. Read my teacher union news digests sometime if you are new to my site through these reports + my other event coverage. I will fix the Dep.Gen Sec's title. Thanks + Solidarity! The people who argue we bend over and lick the Liberals boots out of fear of Hudak remind me of the people in the nazi ghettos who volunteered to serve as police officers over their own imprisoned people in exchange for a few extra privileges. Kevin O'Dwyer and the rest of the gang are sympathizers and should be tried for crimes of sedition against their fellow workers. We may be marched to the Hudak chambers but our spirits will not be broken. Of course Horwath could storm the beaches at Normandy and ride to the rescue! Or not. I know I'm addicted to your updates and the ones throughout the day on Twitter... So when do we expect a ruling? Chair Fishbein said he didn't know when he'd make his ruling but don't expect it anytime too soon. Egads! Hudak is most certainly an ideologically driven idiot. 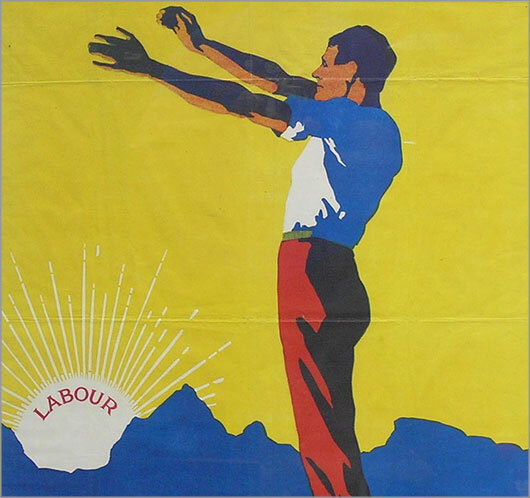 He is however continuously declining in the polls and even Tories are beginning to question his leadership. Some would like to paint him a "the beast" in the Lord of the Flies but this is a red herring. It is meant to draw attention away from the McGuinty government that was planning to do the same as Hudak in smaller steps. As for Wynne, the Jury is out. It will be likely that Wynne and Horwath will find a working arrangement for the near future. If we have two years of progressive government, the Tories will probably dump Hudak before the next election. In the meantime lets get OECTA back on track and start fighting for our members again. It boggles my mind that some think we should return to extras... the only reason that Wynne has been and is still willing to meet with us is because the govt. wants them back!! Smart'en up!! Here is some more scuttlebutt, Is Ken Coran going to send a directive to OSSTF to resume EC, after the throne speech, before the OSSTF Leadership race in March as he and his PE may not be voted back in?